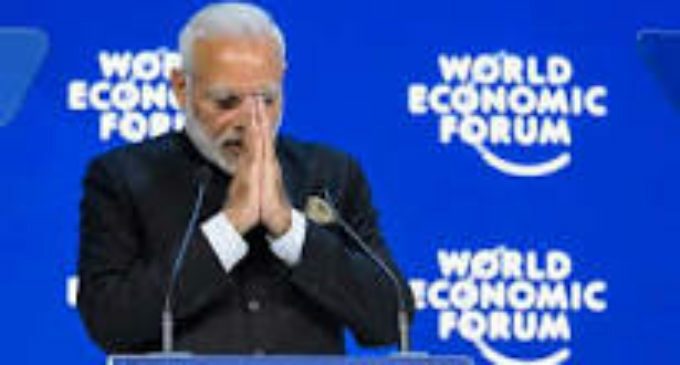 Prime Minister Narendra Modi used his one hour at Davos World Economic Forum to hard-sell India. In a forceful speech that underlined his optimism and confidence, he tried to show case the track record of his government on the economic front. She said his government believes in inclusiveness of everyone in the growth story. Modi referred to the recent disruptive initiatives like demonetization and the introduction of the Goods and Services Tax and said: “You are aware of the changes we have undertaken and the improvement in our sovereign ratings. More valuable than these numbers is the fact that the Indian people have welcomed the government’s reforms.” Pointing out that the World Bank said that Indian economy was among the list of the fastest growing in the coming three years, he said his government has done away with the red tape and rolled out a red carpet instead to the investors. Modi also made a strong push for investment in Government of India’s flagship initiative Make In India. Modi also used the opportunity at the world forum to highlight the export of terrorism form across the border. He also scoffed at the distinction being made between good and bad terrorists. He said such distinction was artificial.